I never seem to have enough birthday cards, so I'm always glad to add one to my stash! 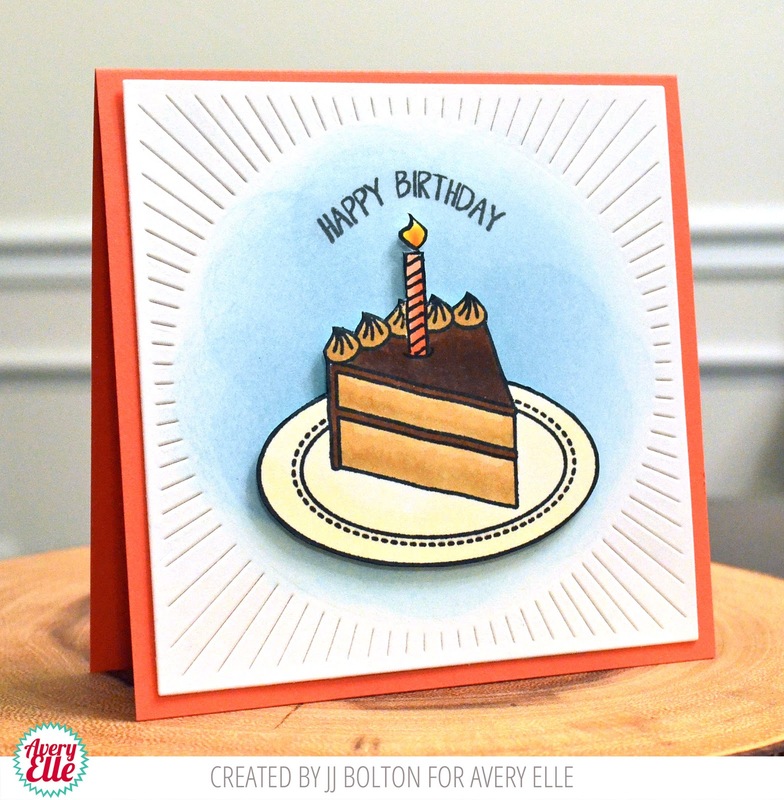 Here's one using the new Avery Elle Bring on the Cake set and the new Burst Die. Since this is a stash card, I kept it neutral and just made it a chocolate cake:) I borrowed the candle die from the Cupcakes set. I have to say that I'm really enjoying all the new Avery Elle background dies like this Burst die. I've said this before, but sometimes all you need is a little texture in your cards (especially CAS ones). It always gives a card a little boost without getting too busy. That burst is really cool! I wasn't sure about it, but I love this look! Oh, how beautiful this is, JJ! Your slice of cake looks good enough to eat and I love the effect of the burst! Awesome card!